Douglas College is pleased to support a literary event taking place on the eve of the Wait for Me, Daddy war memorial unveiling. 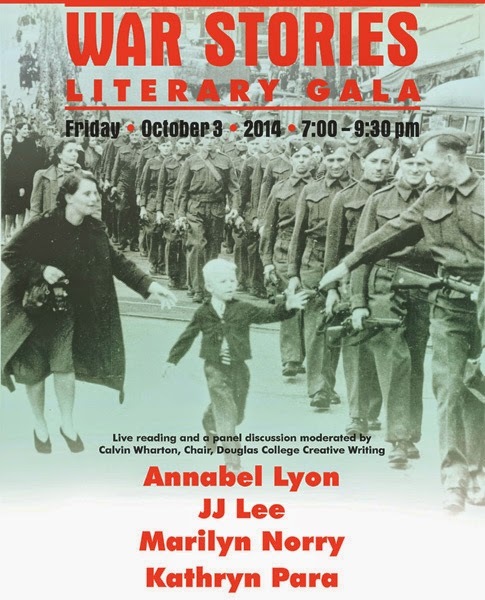 The War Stories Literary Gala will feature writers Annabel Lyon, Marilyn Norry, Kathryn Para and JJ Lee. The event will include readings by the four authors reflecting on ideas, themes and emotions inspired by the iconic Wait for Me, Daddy photograph, as well as a panel discussion and dialogue, moderated by Calvin Wharton, author and Chair of the Creative Writing Department at Douglas College. The reception afterward will feature musicians from the Douglas College music program.